Sir Alex Ferguson is a fan of Jose Mourinho, and the Scot even shortlisted him for the Manchester United job when he retired. The Reds are having a tough time this season. Their Premier League title hopes are as good as over after their shock 3-1 defeat at the hands of West Ham this weekend. Jose Mourinho is unable to inspire the squad, and a sacking could be on the cards, according to some sources. The Portuguese boss was in the same position three years ago. In his second spell at Chelsea, Mourinho was finding it difficult with the players, especially Eden Hazard, who is said to be the cause of his eventual sacking. Manchester United legend Sir Alex Ferguson is said to be a huge admirer of the former Real Madrid boss. In 2015, the Scottish maestro came out in support of Jose Mourinho, when things looked bleak for him at Stamford Bridge. “[Abramovich] has to trust and have confidence José can turn it around, there is no point in sacking one of the best coaches of all time,” Ferguson said. “[Mourinho] has won the European Cup twice, he’s won the league in each country he’s managed in, he’s won the big trophies. It would be foolish for him to take that step to sacking him. That would be bad management; it is not leadership, that. 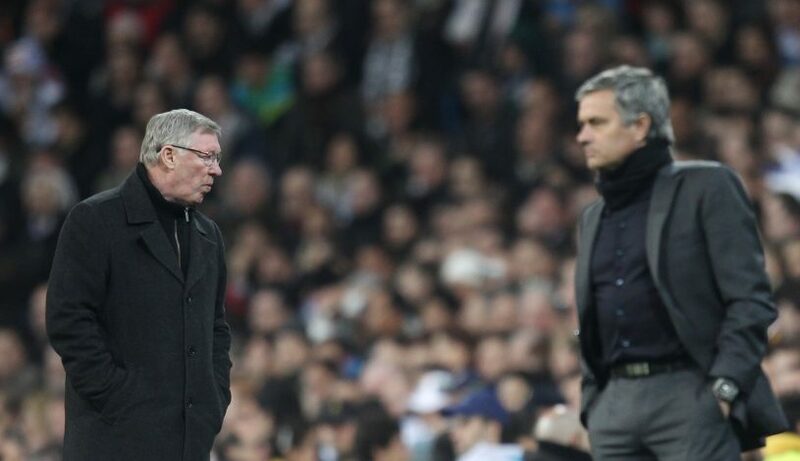 Ferguson calling Mourinho one of the greatest managers in recent history shows the amount of faith he had in the Portuguese tactician in a crisis situation. Unfortunately, things didn’t go down well for Jose, as he was shown the door before the season ended. Ed Woodward snatched the opportunity and signed him up to replace Louis van Gaal the following season. The United gaffer worked wonders in the opening season, winning the League Cup and Europa League. But things have been downhill since then. War with Paul Pogba and the lack of Premier League success is playing on the minds of the Manchester United faithful, and even Ferguson might be shocked with the current situation at Old Trafford.